Your bedroom – the space where intimacy and leisure combine; where you let your guard down and retreat into a vulnerable state. It is there where passion happens, but also sleep; rest and relaxation, yet also excitement. Perhaps it is this mixing and matching of various emotions that can make it quite difficult to design and decorate a bedroom. Pillows, headboard, carpet, window treatment – they’re all important on their own, yet need to function as a whole as well. 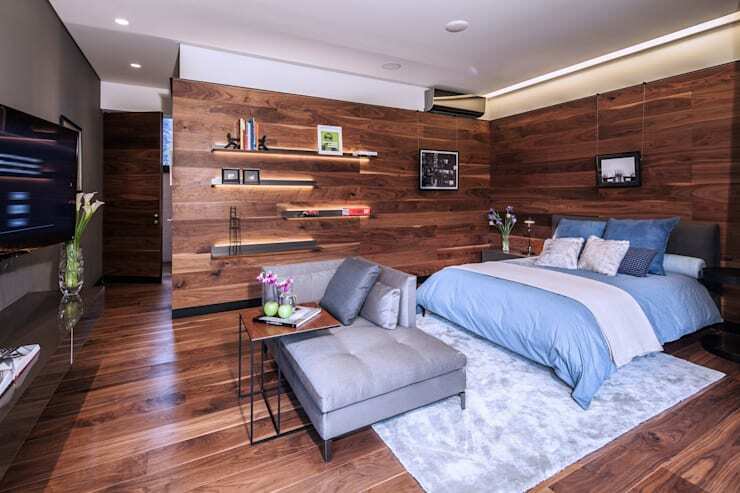 So, to serve as inspiration for your own sleeping space, take a look at these 10 bedrooms, and see if you can determine the secret element that each one has that makes it special and unique. 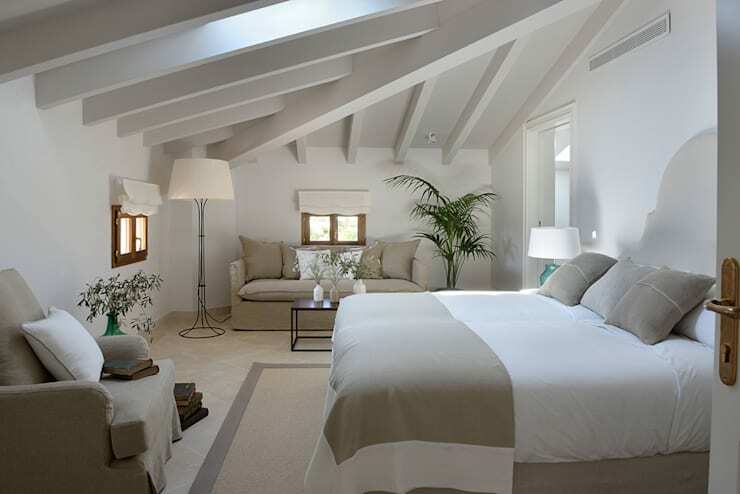 Of course the bedroom is where we relax, yet this one ensures that we have more than one option: a sofa and stylish armchair are added into the mix, both in a tranquil beige to expertly enhance the neutral colour palette of this bedroom. 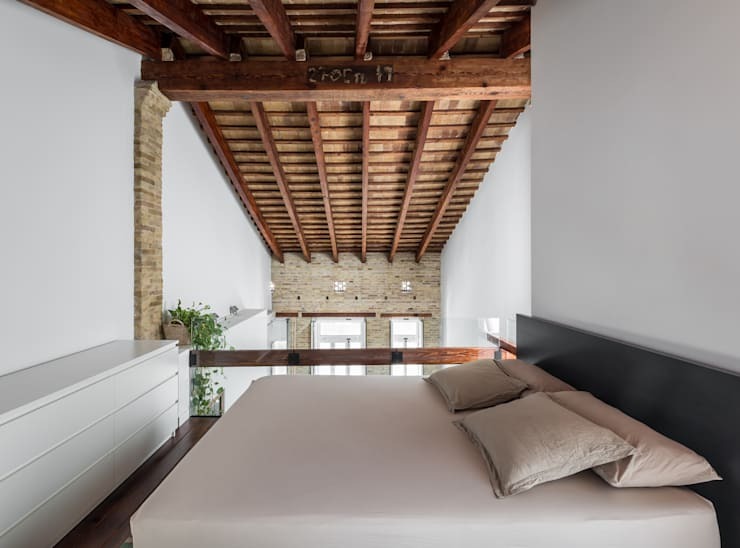 If you want to feel on top of the world, what better way than to have your bedroom located in a loft, overlooking the rest of the interiors below? The wooden ceiling beams and select brick surfaces of the walls add a most stunning touch to this bedroom – so stunning, in fact, that no additional décor is needed. Sweet dreams are definitely out of the question if that bedroom is in a messy and cluttered state. So how about taking some storage tips from this beauty? A few floating shelves with sophisticated backlighting, open floors, and just the right amount of décor and furniture to ensure a clean-cut space. Delightfully accomplished? Our thoughts exactly! 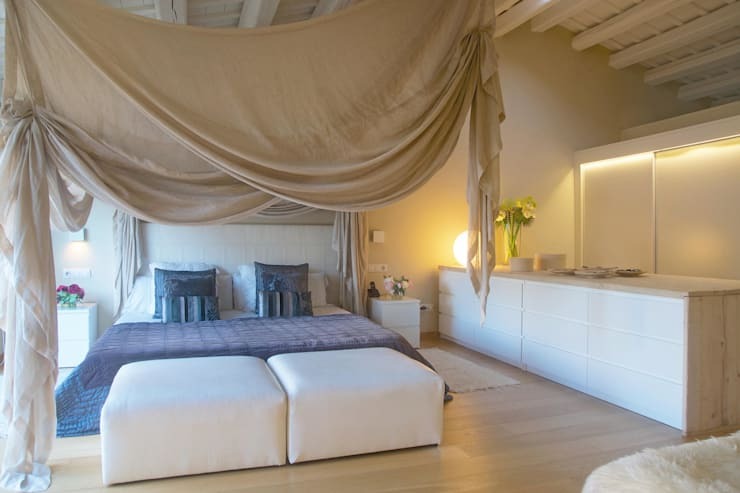 What can we say, except that a whole lot of charm is added to this room, thanks to the exquisite fabric dangling from above that transforms this bed into a canopy-like setting? And crisp whites and ocean blues ensure that sweet dreams with a nautical theme are definitely guaranteed. We can’t quite put our finger on it, but something in this bedroom flaunts a beautiful feminine vibe. Could it be the touch of pinks and purples? Or the frilly fabrics? How about the delightful addition of a sea of scatter cushions? 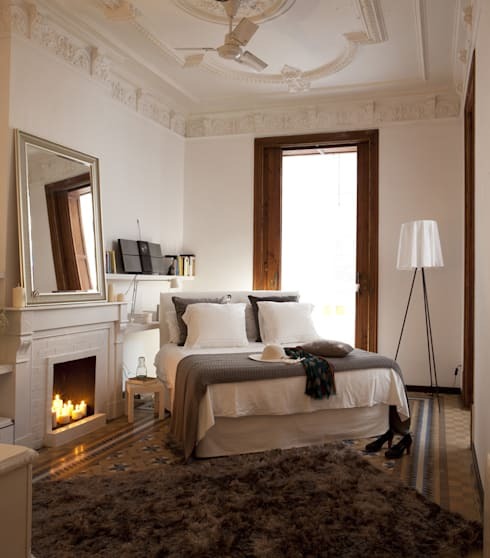 Now this is a look we can get used to: a snug rug, a crackling fire, clean neutral colours, elegant furnishings, and, of course, one fabulous bed on which we can lay down and shut out the world’s worries. 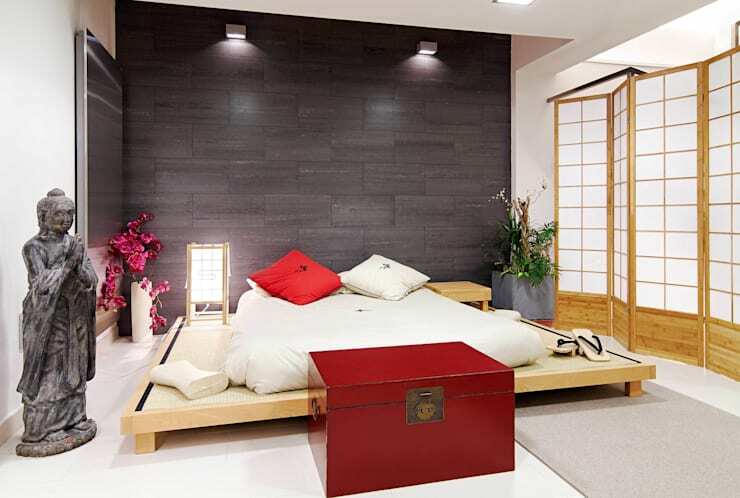 We love the Asian touches of this bedroom: minimal décor and furniture, high ceilings, earthy tones, lots of natural lighting, and a bed as close to the floor as possible. Speaking of Asian, our next bedroom kept the eastern ambience, yet went more out with the colours and décor touches. A stone focal wall, a religious statue, a zig-zag screen for a bit of privacy, and a dash of florals for some softness. How is this for waking up in style? 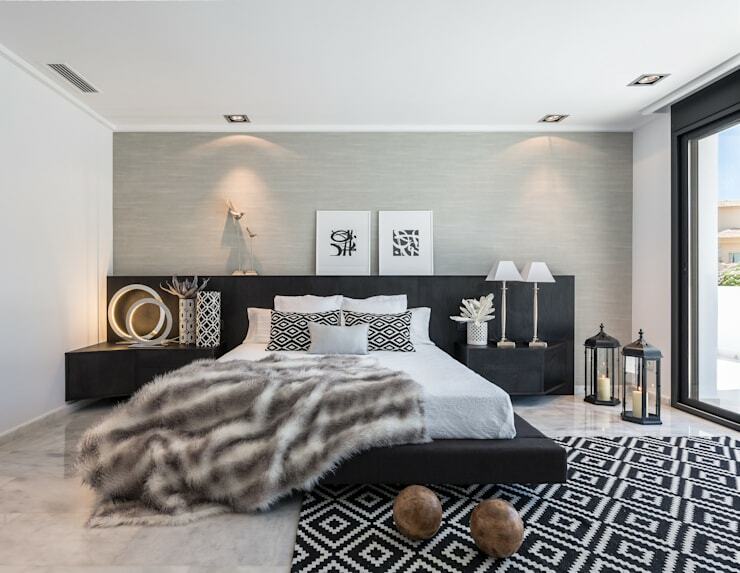 White and black are known as the king and queen of colour contrast, so it would make sense to dedicate an entire bedroom to this exceptional colour duo. But throw in some striking patterns and plush textures, and we have a monochrome space that gets transformed into a most elegant bedroom. 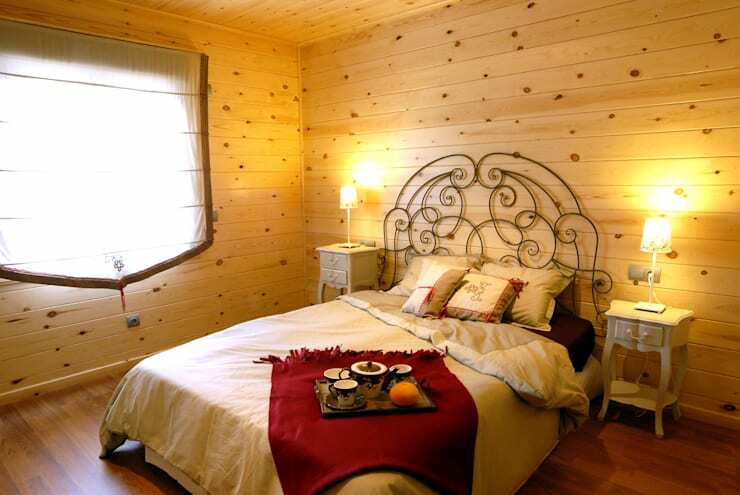 It might be the wall panelling, but we can’t help but to imagine a timber cottage in the mountains when viewing this quaint bedroom. Our favourite feature here? Undoubtedly that wrought iron headboard, which injects a charming and striking touch into this rustic-styled room. 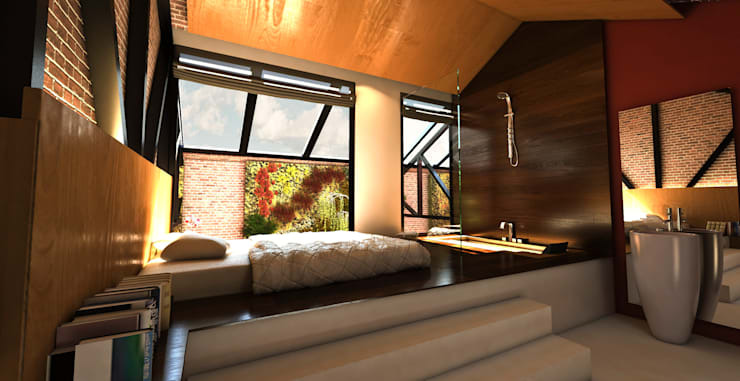 Now for something different… take a look at these: Creative alternatives to standard double beds.